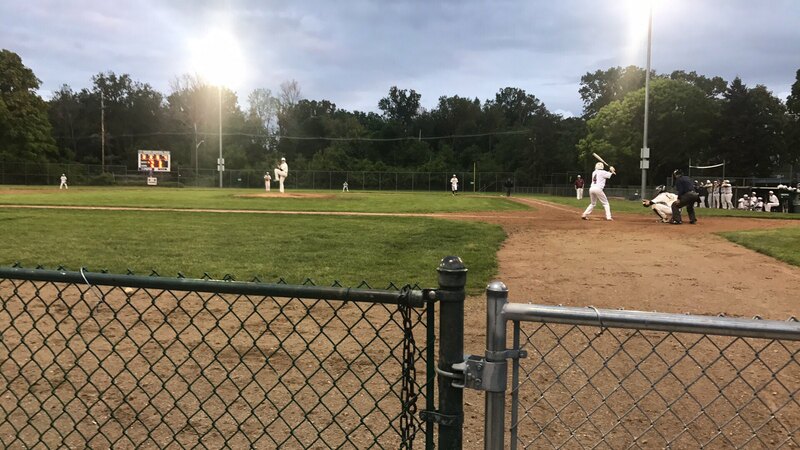 OKEMOS - The Okemos Varsity Baseball Team went into Thursdayï¿½s night game at Municipal Park energetic hoping to advance to the semi-finals game of the Dean Shippey Capital Diamond Classic Tournament, but fell short to Dewitt High School. After three years of not being in the tournament, the Chiefs completed a 4-0 shut-out victory against Division 4 No 2-ranked Portland St. Patrick on Monday to advance to the quarterfinals. Okemos used the momentum from that game to get a strong start off against another tough opponent. After being down 2-1 going into the second inning, Okemos senior Tommy Deppong tied the game up, allowing the Chiefs to take a commanding 4-2 lead. However, the Panthers of DeWitt High struck back after a two-run home run by Senior Will Nagel, giving DeWitt the lead and eventually the win, ending Okemos's tournament run. The Chiefs now shift their focus to St. Johns High School for the MHSAA District Tournament on May 30.